International School of Creative Arts – Fashion, Fine Art, 3D Design, Graphic Design, History of Art. 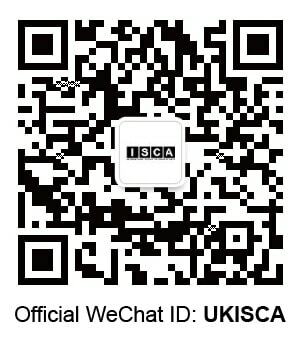 Established in 2009, in association with University of the Arts London (UAL), International School of Creative Arts (ISCA) is now a fully independent centre for pre-university study in art and design. International School of Creative Arts is honoured to be part of the 2019 Parliamentary Review, an important innovation designed to bring together organisations that champion different sectors of education. At a special gala evening in London, politicians, business leaders and educators met to share knowledge and best practice and build relationships across sectors. ISCA is delighted to be recognised for its special contribution to art and design education in the UK. By perfecting the art of portfolio preparation, ISCA has built a reputation for highly successful student progression to leading art & design universities around the world. "The effectiveness of governance, leadership and management is excellent." "Teaching is excellent and focuses clearly on the academic and career needs of individual students." "The quality of the curriculum, teaching and learners' achievements is excellent." "Student’s welfare including health and safety, is excellent." "Careers advice is outstanding and accurately focussed on the needs of the art and design industry." Along with a commitment to creative and intellectual endeavour, ISCA recognises the importance of connecting students to international designers, top professionals, academics and creative practitioners including Professor Jimmy Choo OBE and Dame Zandra Rhodes. ISCA Connects means our students can tap into the experience of artists and designers thereby gaining a real sense of how the industry operates. Copyright © 2014 - 2019 ISCA All Rigths Reserved.